The Federal Government has appointed a director general for the Debt Management Office, DMO. She is Patience Oniha. Ms. Oniha, whose appointment took effect from July 1, succeeds Abraham Nwankwo who retired from service last week. The DMO is the government agency responsible for coordinating government strategy for the management of public debts. Amongst her achievements during her eight years at the DMO was the introduction of Benchmark Bonds to develop the domestic bond market in order to improve liquidity and to create a sovereign yield curve which created opportunities for State Governments, Multilaterals and corporates to raise long term funds. The purpose behind this drive was to create a debt capital market where the public and private sectors can access long term funds to finance Nigeria’s growth and development. For sustainable development of the debt capital market, she actively engaged with local and foreign investors, regulators and other stakeholders to develop a large and diversified investor base for FGN Securities and Bonds issued by other borrowers. 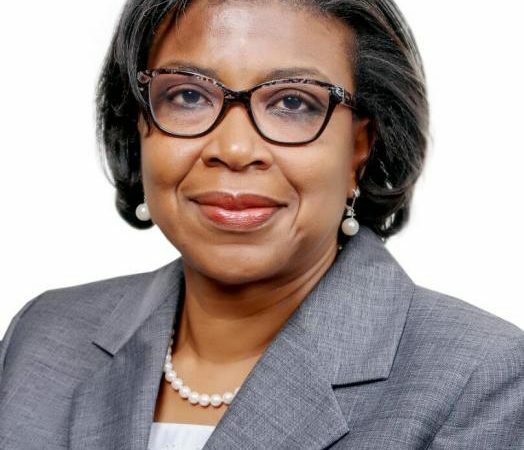 Oniha recorded quite a number of “firsts” during her time in DMO as she managed the successful issuance of Nigeria’s debut USD500 million Eurobond in January 2011. The debut Eurobond opened a new source of funding for the Federal Government and Corporates. Thus, it was not a surprise when in 2013, she also managed the issuance of the dual-tranche USD1 billion Eurobond which was subscribed to the tune of about 400%. A number of Nigerian banks also tapped into this funding window by issuing Eurobonds. She was also responsible for the inclusion of FGN Bonds in the J.P. Morgan Government Bond Index – Emerging Markets (GBI – EM) in October 2012 which made Nigeria the second country in Africa, after South Africa to have its local currency sovereign bond included in the Index. The inclusion of FGN bonds in this Index attracted foreign investors to the domestic bond market as a whole. This was followed by the inclusion of FGN Bonds in the Barclays Capital Emerging Markets – Local Currency Government Bond Index (EM – LCBI) in March 2013.